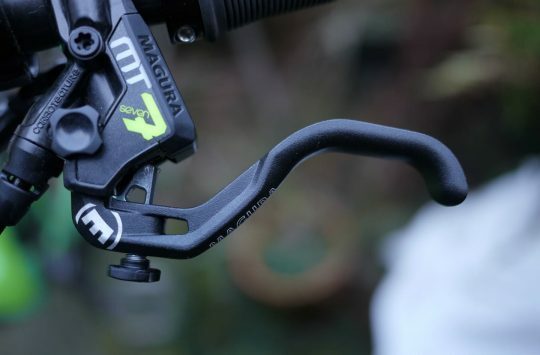 The MT7 brake is the flagship of the Magura brake range, and as such it comes with the normal level of detail that you’d expect from a top-end product. 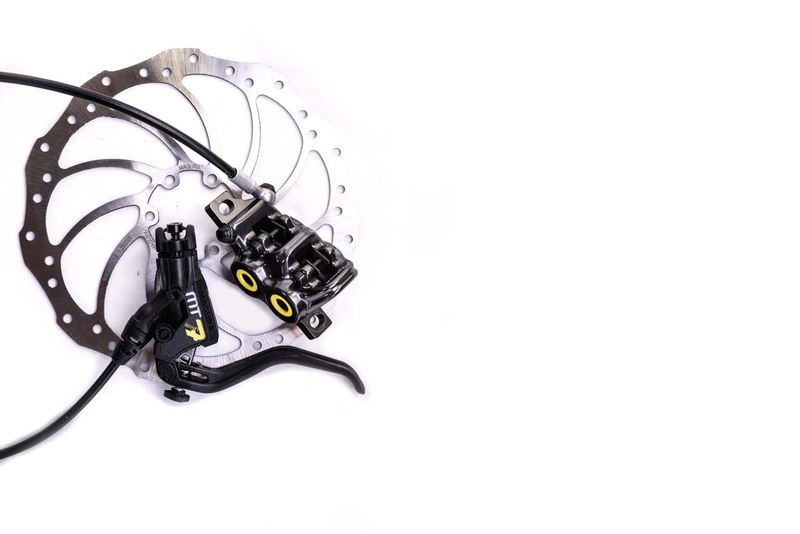 With a four-pot design, magnetic pad retainers for easy switches, banjo fittings for easily adjustable hose angles, tool-free adjustment of reach and bite point and subtly attractive looks which save most of the flashy coloured bits for the insides of the brakes, they certainly look the part (and a limited edition MT7 Raceline version is available, with swanky hi-vis paint, if you want to tart it up a bit). The tool-less adjustment should allow anyone to set these brakes up as they want them with relative ease. For me that means a late, powerful bite point that’s really close to the bar, and it only took one ride before I had them dialled in. The brakes came with super-long hoses supplied, and it’s worth noting that the brakes come with T25 bolts fitted as standard at the bar clamp and frame mount, and a T25 key is in the box so you’ll not be stuck if you don’t have one. 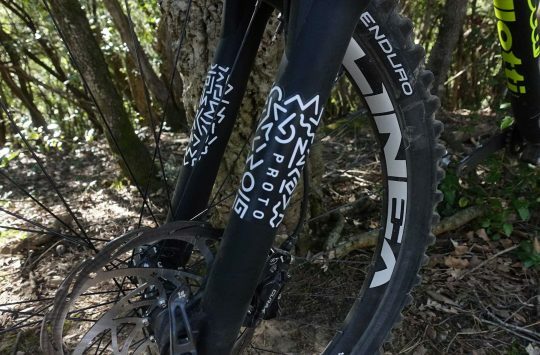 Coming from my normal brakes, Shimano XT, the MT7 initially felt quite different. Once the (eight!) brake pads bedded in and adjusted their position they were never lacking for power, even on the longest descents. The only issue I had with these brakes was with the lever shape. 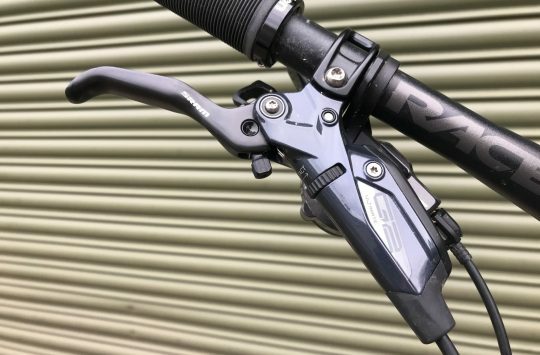 I, like many others, have become used to short, single-finger levers; as brakes have become more powerful and efficient, single-finger braking has become the norm, with lever blades changing shape across the board to suit. The MT7 has a lever that is designed for two fingers; it really doesn’t feel like it was designed to be used single-fingered, unless you’re one of those middle-finger brakers (weirdos that they are). It’s a minor thing, but quite off-putting at first if you’re used to a shorter lever shape. 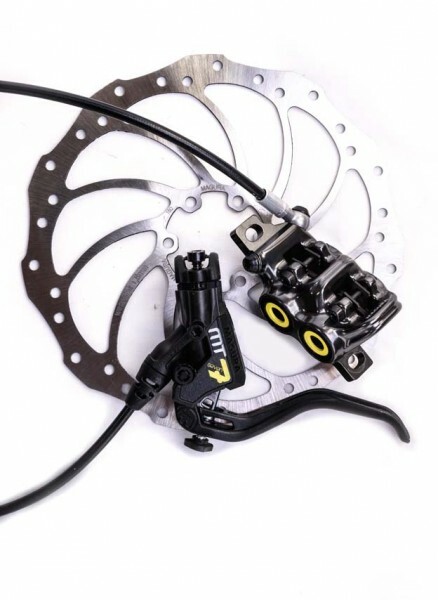 Price: Brakes £219.99 an end, including rotor. 'Aving it 'Ard! The 'Ard Rock Enduro 'As It Large.